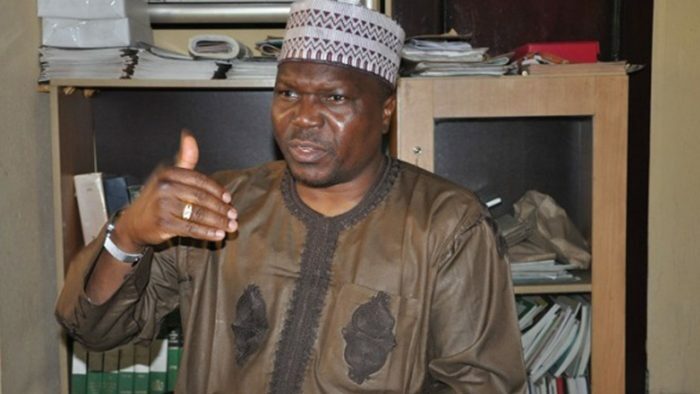 The President of the Trade Union Congress of Nigeria, Mr. Bobboi Kaigama, announced on Wednesday that a new amount agreed on by the Federal Government and labour to serve as Nigeria’s new minimum wage would be announced next month. Bobboi, who made the disclosure in an interview with the labour correspondent of the News Agency of Nigeria in Lagos, said that the committee working on the minimum wage had almost concluded negotiations on the matter. The Federal Government had set a September date to roll out a new minimum wage for workers, although the Minister of Labour, Dr Chris Ngige, was recently reported as “double-speaking’’ on the issue. Civil servants in Nigeria are eagerly awaiting a wage increase after years of enduring a wage structure, described by analysts as one of the lowest in the world. But public office holders in Africa’s most populous nation, including members of the bi-cameral parliament enjoy some of the biggest wages in the world, according to analysts. Kaigama said that a tripartite committee meeting was holding on Wednesday in Abuja but refused to elaborate on issues being discussed at the meeting. “The tripartite meeting is holding today but I do not want to pre-empt the outcome or the level we have reached in our discussions, otherwise there will be unnecessary anxiety. ”But by the end of August, I am assuring you that workers will know what the agreed new minimum wage will be, ” he said. On November 22, 2017, President Muhammadu Buhari approved the appointment of a 30-member committee to work out a new minimum wage. He inaugurated the committee on November 27. Buhari was, subsequently, hailed by workers for listening to their cries for a review of the current N18, 000 minimum wage put in place by former President Goodluck Jonathan in 2011. The labour movement, including the Nigeria Labour Congress and the TUC had previously demanded N56, 000 as new minimum wage. However, the President of the NLC, Mr Ayuba Wabba later submitted a memorandum to the wage committee, demanding N66, 500 “living wage’’. Wabba said the living wage was necessary to restore confidence for workers, whom he said, had been devastated by years of exploitation and enduring slave wage. The committee negotiating the new wage is made up of representatives of the Nigeria Employers’ Consultative Association, the TUC/NLC and the government, represented by the Federal Ministry of Labour and Employment.